The National Tennis Academy is a Programme designed by Tennis Ireland to bring the top Irish players to one central location where they can train with players of a similar ability and develop their skills under one roof at Dublin City University (DCU). The National Academy Squad can benefit from the international standard facilities at DCU to help them improve their technical skills, fitness, and physical qualities in order to compete at the highest level on the world tennis circuit. The National Tennis Centre at DCU is the main base for players in the National Tennis Academy, here players can avail of the Centres 10 multi-surface, all-weather courts. This means that Squad players can prepare for international tournaments before leaving Ireland on a surface similar to what they will compete on abroad. The National Tennis Centre also incorporates state-of-the-art match analysis technology which allows our Coaches to monitor all aspects of a players on-court performance from service technique to tactical examination during a match. Situated beside the National Tennis Centre is the DCU Sports Gymnasium, home to several of Ireland’s current Olympic athletes. At the Sports Gymnasium Squad players concentrate on their body conditioning with various tools such as Hammer Strength equipment, Life-Fitness Cardio equipment and Ice Bath facilities for player recovery. Full-time squad players at the Academy now train between 24 to 30 hours per week (depending on the age of the player) while part-time squad members train from 6-9 hours a week. Training programmes at the Academy are structured to meet the individual needs of every player based around the strengths and weaknesses of each player. Each players programme also includes a calendar programme of international competitions (Tennis Europe, Junior ITF, ATP/WTA events) allowing the player to compete against the best Europe and the World have to offer. By July 2005 the Squad had expanded its training programme once more to four days a week relocating from Leopardstown to the newly built National Tennis Centre at Dublin City University. 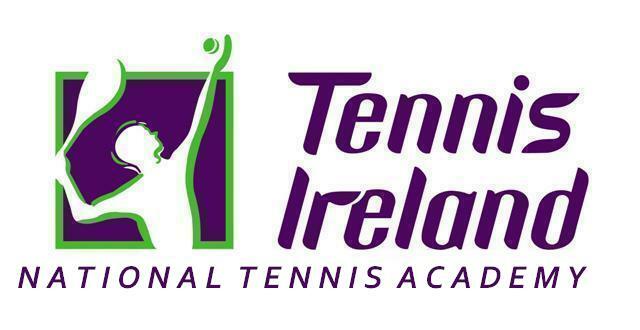 By 2006 the current National Tennis Academy structure began to take shape as the squad size increased in number to eleven full-time players (including players training and living in DCU as residential squad members) with three coaches, and one physical trainer employed full-time. Since 2007 the Academy has seen further growth to what now has become a 65 member strong squad of both full-time and part-time players (from 8 to 20 years of age). Since the completion of Phase 2 of the National Tennis Centre and the addition of six extra courts in 2008, Garry Cahill has been given the opportunity to invite Ireland’s top Senior Tennis stars to the facility to train with and compete with the older Academy players. This not only helps the Juniors in their training routine and the opportunity to play against strong opponents, it also helps keep the Senior players sharp while in Ireland. A strong coaching team is in place led by Performance Director Garry Cahill. Garry is the Performance Director at Tennis Ireland and also previously Irish Davis Cup, Fed cup captain. As the head coach of the academy, Garry has worked with high performance players from juniors to grand slam level. Garry has also developed the teaching systems that are currently used within the academy. He has over time integrated the on court tennis pathway systems with sports science support structures. He is also instrumental in the coach development of the academy staff. 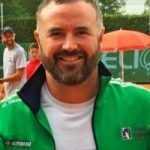 Johnny is a qualified Tennis Ireland Coach since 1998, Johnny is one of the National Tennis Academy’s most experienced and well traveled coaches. Johnny focuses on U12 level and the techncical and tactical development of his players. Galina has been with the National Tennis Academy since 2005 and came to Ireland as a Former Lithuanian Number 1 who represented her country in Fed Cup through the years. 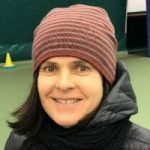 Galina is a head coach of U10 Mini – Futures Programme in the Academy. She concentrates on technical and tactical development of the players from 10 to 13 years old age. Colin has been working with the National Tennis Academy since 2014. 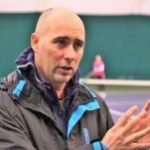 He brings a wealth of tennis knowledge and experience to help in the development of top level tennis players. Colin was a successful player himself, representing Ireland in the Davis Cup on 9 occasions. Lazo has been with Tennis Ireland since 2011. Originally from Georgia he held an ITF Juniors ranking of 36 and held an ATP ranking of 837 aged 18. He is the head coach for the U11 – U13 Squad and works with the Senior players also. Oktay has a BSc [hons] degree from Kingston University and a MSc degree in Strength and Conditioning from the University of East London. He most notably is an accredited Strength and Conditioning coach by the National Strength and Conditioning Association [NSCA], Level 2 anthropometrics awarded by The International Society for the Advancement of Kinanthropometry [ISAK], Functional Movement Screen Expert Accreditation [FMS] and a level 2 British Weightlifting Coach [BWL]. 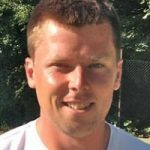 He came to Tennis Ireland following 4 years as head of Strength and Conditioning for WimX Tennis Academy as well as the lead strength and conditioning coach for the University of East London Tennis team. In addition to this, Oktay was Lead Sport Scientist for Leyton Orient Football Club Centre of Excellence from 2012 to 2014. Oktay has also worked with a variety of national level developmental players in Rugby, Golf, Hockey, Track and Field and Olympic Weightlifting. He is also currently involved in education. As a course tutor for British Weightlifting, Education Coordinator for the Trinidad & Tobago Olympic Weightlifting Federation and will be teaching on the upcoming Tennis Ireland courses. Daniel is originally from Castlebar Co. Mayo where he started playing tennis at the age of 9. Daniel had a great Junior career winning multiple National Titles and finishing number one Under 18. He moved to Castleknock in Dublin to study Business at DCU for a year before deciding to go full time on the Professional Circuit. Daniel competed on the ATP, Challenger and ITF Tours where he picked up seven Professional Titles and reached Career highs of 712 ATP Singles and 352 ATP Doubles. Daniel also became the first Connacht Man to play Davis Cup for Ireland and made his debut against Finland in Castleknock Lawn Tennis Club. 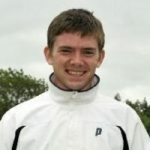 Daniel is the newest member of the Coaching Team at Tennis Ireland and with over ten years’ experience on the pro-tour he will have a lot to offer the young aspiring Professionals in Ireland. Tanya originally from Ukraine was a top junior player and played for the national tennis team. Tanya studied at the National Ukrainian Physical Science and Sport University; where she graduated with BSc honours degree. 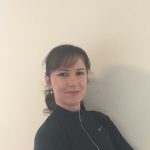 She is an accredited ITF Level 2 coach since 2010 and has been an accredited Tennis Ireland Level 2 coach since 2013. Since finishing her tennis career she has been working with junior performance players in Ukraine and Ireland. Tanya works with the Mini – Futures squad in the National Tennis Academy.